Anyone interested in organic farming will eventually come across the use of ash to protect crops from pests and diseases. The internet has made it easy for people to consult, and to copy each other’s training materials. 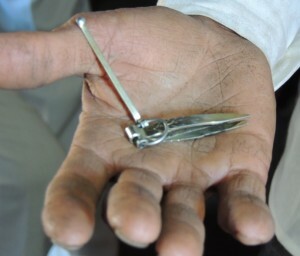 But one has to be cautious when borrowing ideas, as we recently learned during a script writing workshop in Bangladesh. During the first day of the course, the 13 trainees from Bangladesh and Nepal laid out their key ideas to write a fact sheet and a script on a particular problem. 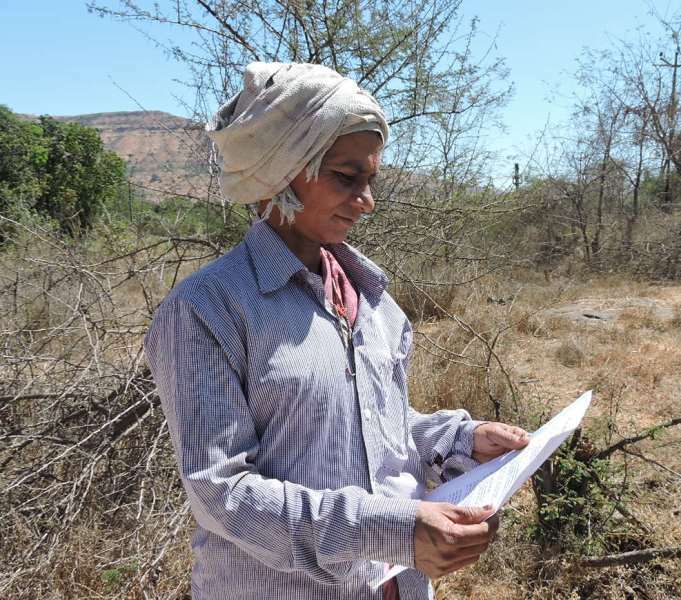 All of our script ideas were hot topics, that is, they are problems that occur widely across developing countries, requiring good training materials with ideas that are both feasible for smallholders and environmentally friendly. One of the selected topics was how to manage shoot and fruit borer in eggplant, a pest for which many farmers in South Asia spray pesticides twice a week, or more. Just knowing this makes you frown when this tasty vegetable is presented to you in one of the delightful Bangladeshi dishes. Another group worked on aphids in vegetables and suggested using ash to manage these pervasive pests. When Jeff and I asked why ash is useful, the group gave us various reasons: because it is acidic; it contains sulphur; it is a poison; the ash creates a physical barrier which prevents the aphids from sucking the sap of the plant. These all sound like plausible answers yet some are incorrect. Ash is rich in calcium, like lime, and therefore not acidic, for example. We do know that ash makes the leaves unpalatable to insects and corrodes their waxy skin, making them vulnerable to desiccation. 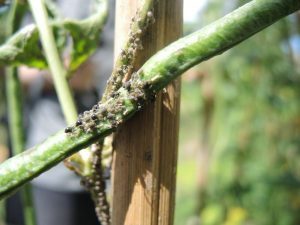 The FAO’s website on applied technologies (TECA) suggests controlling aphids by applying wood ash after plants are watered. If not, the sun may cause the leaves to burn. Our simple question about using ash reminded me that the scientific basis for many local innovations is poorly understood. There are too few researchers to validate each technology and limited resources often focus on high-tech solutions (e.g. plant breeding) rather than low-tech farmer innovations. 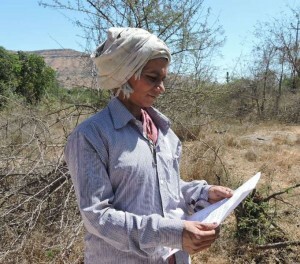 Experienced extension agents like Shamiran are experts at explaining farmers’ ideas to outsiders, as well as explaining scientific ideas to rural people. When people give advice to farmers, or develop farmer training materials, it is easy to copy ideas from the Internet. It is easy to assume that because ash is natural that it must be harmless. In fact, tree leaves are often full of toxic chemicals, to deter herbivorous insects; it stands to reason that the ash of the leaves may also be poisonous. A natural solution can go wrong, even one as simple as applying ash. To develop good farmer training videos, solid interaction with farmers is crucial. And collaboration with a seasoned, open-minded extensionist helps to orient us in the right direction. To watch videos that merge scientific knowledge with farmer knowledge, visit the Access Agriculture video-sharing platform. All videos are developed by people who value local innovations, and feature technologies that are validated by real farmers. Shamiran Biswas works for the Christian Commission for Development in Bangladesh, an NGO working on food security and non-formal education. 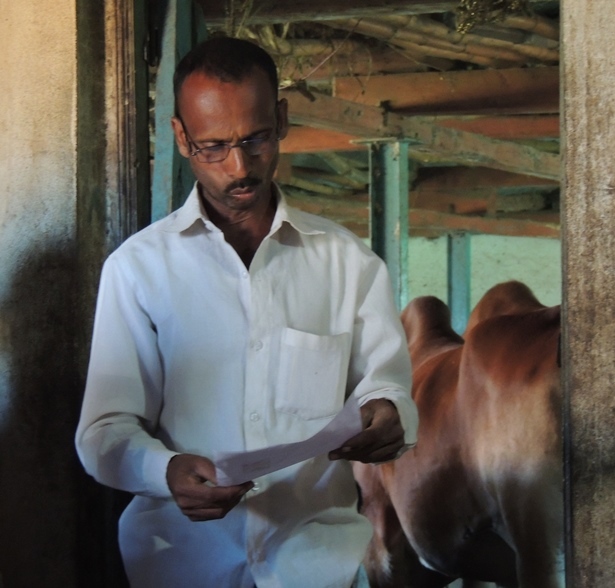 A good farmer training video inspires farmers to modify practices, for example, replacing an ingredient of a locally-made animal feed. 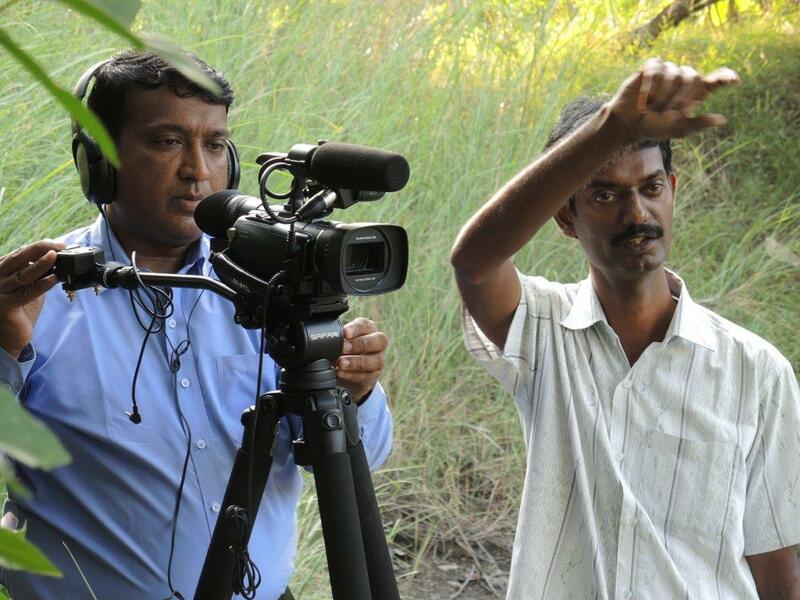 But when changing ingredients, one has to know a lot about them, as we learned recently while teaching a video production workshop in Tamil Nadu, southern India. Explaining the principles behind a certain technology or why something is done in a particular way helps farmers to better understand the innovation and to try it out with whatever resources they have at hand. The different examples shown in a video help to give farmers more ideas to work with. 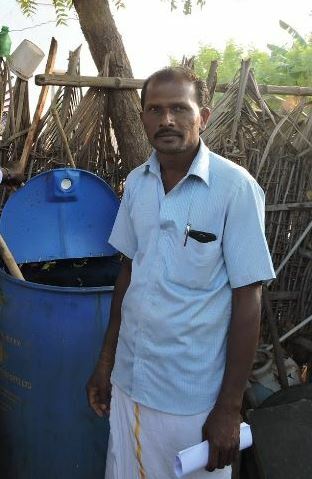 In Tamil Nadu, one group of trainees was making a video on home-made animal feed, which only costs half as much as concentrated feed that one can buy in a shop. By interacting with various farmers, the trainees learned quite a few things. While shops sell specific feed for different animals, farmers make a base mix of grains, pulses and oil-cakes that they use to feed all their animals and fish. This saves the farmers time, while allowing them to still tailor the feed for each species of livestock. Depending on whether it is for cattle, goats, poultry or fish they will then add some extra ingredients, like dried fish (if the feed is for fish or poultry). 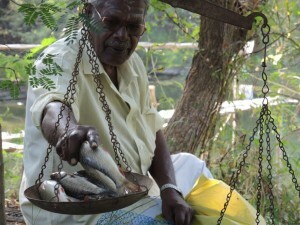 The trainees also learned that when you want to use a base mix for fish, you need to consider a few things. Farmers rear up to 6 different species of fish. Two species are surface feeders, two feed in the middle layer, and two species are bottom feeders. As you want the feed to be eaten by all fish, the mix should be milled to a course flour. When ground too fine, the feed will float and be available to the surface feeders only. One other thing the team of trainees learned was that for fish you can use groundnut oil cake or cotton seed oil cake, but you should never use coconut oil cake (which is readily available and cheap in coastal India). Why? Well, if coconut oil cake is used in the base mix, two days after feeding the fish, an oily film will develop, blocking the pond from sunlight and oxygen and slowly killing the fish. 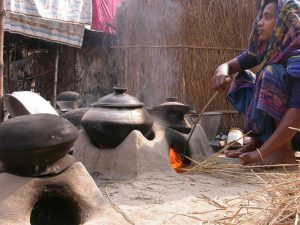 The household can still use coconout oil cake in base feeds intended for livestock. Clearly, oil cakes are not all the same and not all are interchangeable. Good farmer training videos should present a range of different options and locally available resources, but they should also warn farmers of any possible risks. Videos for farmers should always say why an option will (or won’t work), as in this case: don’t feed coconut to your fish or the oil will block their sunlight and kill them! To watch the video in French, click here. To watch the video in Tamil, click here. To watch the video in Bangla, click here. While writing a video script, the author must find out what motivates people, as we were reminded recently while visiting Bolivian farmers to get their ideas on childhood malnutrition. Agriculture and nutrition are linked in unusual ways. A 2012 study by Cornell University nutritionist Andy Jones, and colleagues, in northern Potosí, Bolivia, found that boosting farm production came at a cost. If new farming techniques increase the work load of young mothers, they may not have the time to feed their youngest children often enough. The toddlers can suffer if their mothers are working too hard and too long. One of Jones’s colleagues in that study was an experienced and perceptive Bolivian nutritionist named Yesmina Cruz. She said that in this part of the Andes, some local beliefs were harmful for babies. For example, mothers believed that if the babies went without food when they were small, they would grow up to be able to withstand hunger when they were big. So the mothers would avoid giving the breast to their newborns for several days, until after losing the colostrum, the rich, yellowish milk that should be a baby’s first, nutritious meal. The mothers did not feed their babies often enough and would often start them too soon on supplementary foods, like soups or mush. Younger mothers are changing how they bring up their children, but some of the old ideas persist. Early in August, I had a chance to work with Yesmina again, as she wrote a fact sheet and a video script on mother’s milk. The first day of the course, Yesmina outlined her main suggestions: start breastfeeding on the day the baby is born, give mothers’ milk (and nothing else) for the first six months, and keep breastfeeding the baby for at least the first two years. Last week, our blog story Learning from students told about how our course starts by writing a fact sheet and taking it to a community to read. During the script writing course, Yesmina had the wisdom to interview men too, not just mothers. But the men were less interested in reading about breastfeeding, because they saw it as women’s business. 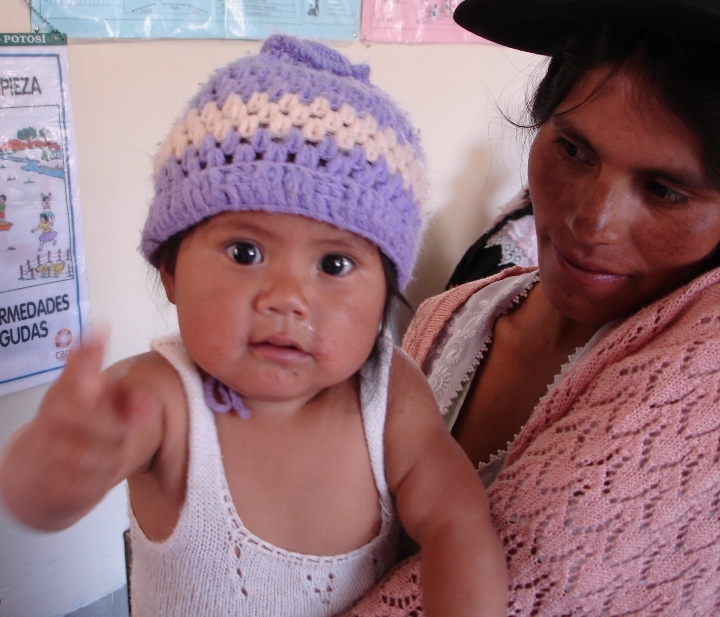 While writing her draft video script, Yesmina visited the village of Phinkina, near Anzaldo, Cochabamba, and met with three mothers to learn more about their experiences with breastfeeding. 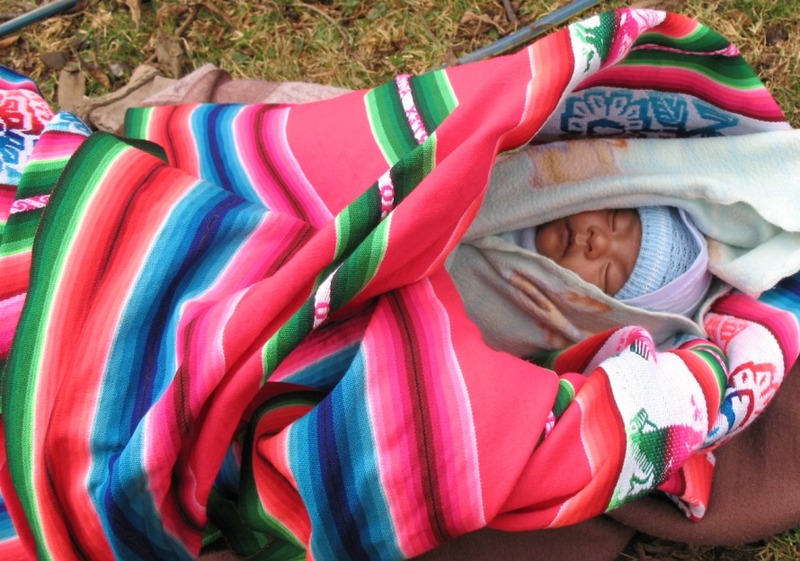 Their children had grown up and Yesmina wanted to test some of her ideas and see how to help new mothers. Yesmina explained that the main sign of malnutrition was that the babies were small for their age (something a mother may not always realize, especially when malnutrition is widespread). Malnutrition in toddlers can be easily avoided by proper breastfeeding. To Yesmina’s surprise, the women didn’t think it was a problem if their children were smaller than expected in their early years. “They can eat when they are youths,” one of the women explained. (Although in fact, children never fully recover from poor development in early years). On the other hand, the mothers were obsessed with school. They wanted their kids to do well in school and to finish it. Yesmina realized that talking about school could be a way to get moms, and dads, interested in milk for babies, by explaining that mother’s milk helps children grow healthier minds and bodies, so they can do better in school. Eat well when you are pregnant. Here too it will be crucial to get men motivated, to encourage their wives, daughters and daughters-in-law to eat better food during pregnancy, and to help them ease up on their workload. Start breast feeding as soon as the baby is born. Only give the baby breast milk until 6 months of age. Introduce supplementary feeding at 6 months. Continue breast feeding until the baby is at least 2 years old. Now the draft script explains that colostrum is the first food that feeds the baby’s brain and that babies who are well fed on breast milk will grow up to be children who perform better in school. A simple task, writing some tips for breastfeeding, turns out to be more complex (but also more rewarding) when the author invites members of her target audience to read and comment on an early draft. Academics are used to sharing drafts of their papers with colleagues. When writing for a popular audience, it can be just as useful to share drafts with community members. La autora de un guion de video debe averiguar qué motiva a la gente, el cual volvimos a acordarnos recientemente al visitar a productores bolivianos para conocer sus ideas sobre la desnutrición infantil. pequeños. Los chiquillos pueden sufrir si sus mamás están trabajando muy duro y por mucho tiempo. Una de las colegas de Jones en ese estudio era Yesmina Cruz, una nutricionista boliviana experimentada y sensible. Ella dice que en esta parte de los Andes, algunas creencias locales son dañinas para los bebés. Por ejemplo, las mamás creían que si a sus bebés les faltaba comida cuando eran pequeños, llegarían a poder aguantar el hambre cuando fueran grandes. Así que las mamás evitaban dar pecho a sus recién nacidos durante varios días, hasta perder el calostro, la rica y amarillenta leche que debería ser la primera, nutritiva comida del bebé. Las madres no daban de comer a menudo y muchas empezaron demasiado temprano a dar alimentos suplementarios, como las sopas o papillas. Hoy en días las mamás jóvenes están cambiando su manera de criar a sus hijos, pero algunas de las ideas viejas persisten. A principios de agosto, tuve la oportunidad de volver a trabajar con Yesmina, mientras ella escribía una hoja volante y un guion de video sobre la leche materna. El primer día del curso, Yesmina bosquejó sus sugerencias principales: empezar a dar pecho el día que el bebé nace, dar leche materna (solamente) durante los primeros seis meses, y seguir amamantando al bebé por lo menos durante sus primeros dos años de vida. La semana pasada nuestro blog, Aprender de los estudiantes, contó como nuestro curso empieza con la redacción de una hoja volante que luego se lleva a la comunidad para leer. Durante el curso de la redacción de guiones, Yesmina tuvo la sabiduría de entrevistar a hombres también, no solo a las madres. Pero los hombres tenían poco interés en la leche materna, la cual vieron como un asunto de las mujeres. Mientras escribía el borrador de su guion de video, Yesmina visitó la comunidad de Phinkina, cerca de Anzaldo, Cochabamba, donde se reunió con tres madres para aprender sobre sus experiencias con la leche materna. Sus hijos ya eran grandes y Yesmina quería sondear algunas de sus ideas para ver cómo ayudar a las mamás jóvenes. Yesmina explicó que el principal señal de la desnutrición es que los bebés son pequeños para su edad (y una madre no siembre se da cuenta de eso, sobre todo si la desnutrición es común). Es fácil evitar la desnutrición infantil con el buen uso de la leche materna. Yesmina se sorprendió que las mujeres no pensaron que era problema si sus hijos eran muy pequeños en sus primeros años. “Pueden comer cuando son jóvenes,” explicó una de las mujeres. (Aunque en realidad, los niños nunca se recuperan completamente del mal desarrollo en sus primeros años de vida). Sin embargo, las madres estaban obsesionadas con el colegio. Querían que sus hijos fueran buenos alumnos y que terminaran el colegio. Yesmina se dio cuenta que el hablar del colegio podría ser una manera de que los padres se interesaran en la leche para los bebés, al explicar que la leche materna ayuda a los niños a tener mentes y cuerpos sanos, para poder ser exitosos en el colegio. Comer bien cuando estás embarazada. Aquí también será crucial involucrar a los hombres, para que apoyen a sus esposas, hijas y nueras para que coman mejor durante el embarazo, y para ayudarles a reducir su carga de trabajo. Empezar a dar pecho inmediatamente que el bebé nazca. Al bebé solo darle leche materna hasta los 6 meses de edad. Empezar con la alimentación suplementaria a partir de los 6 meses. Continuar dando pecho hasta que el bebé cumpla por lo menos 2 años. Ahora el borrador del guion explica que el calostro es el primer alimento para el cerebro del bebé y que los bebés bien alimentados con la leche materna llegarán a ser niños exitosos en el colegio. Una tarea sencilla, como escribir algunas sugerencias para la leche materna, resulta ser más compleja (además de más enriquecedora) cuando la autora invita a miembros de su público a leer y comentar sobre el primer borrador. Los académicos están acostumbrados a compartir borradores de sus artículos con sus colegas. Cuando uno escribe para una audiencia popular, igualmente puede ser útil compartir los borradores con algunos miembros de la comunidad.